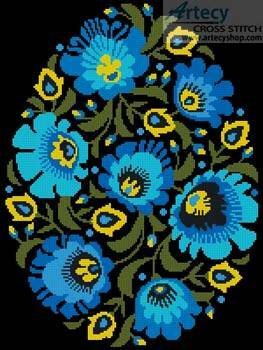 Folk Art Easter Egg 2 cross stitch pattern... This counted cross stitch pattern of a Folk Art Easter Egg was designed from Artwork by Ancymonic.To be stitched on black fabric, but can be stitched on white as well. Only full cross stitches are used in this pattern. Black and white symbol pattern.